The Ringed Seal is the smallest of all the seal species in the world. 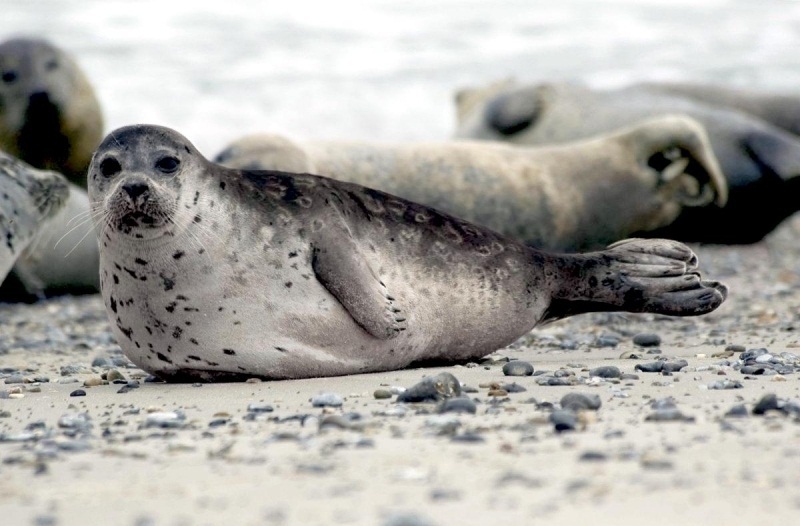 These are a species of true seals that is also the most common seal of the Arctic and the sub-Arctic regions. Though their population is static, native hunters kill these creatures for subsistence throughout the Arctic range, while the pollutants in the Baltic seas have also been affecting their population, of late. Size: Varies between subspecies, with the adults ranging from 100 to 175 cm (39.5 to 69 in) in length. Weight: They can weigh anything between 32 and 140 kg (71 to 309 lb). Body: Their plump body is covered with a dark coat with silver rings on the back and sides, and a silver belly, which gives the seal its common name. Head: The head is small, without external ear lobes, and with a short cat-like snout. Feet: There are small front flippers with claws that are more than 1 inch (2.5 cm) thick. Sexual Dimorphism: There are no visible differences between the sexes, except that the males are somewhat bulkier than the females. The ringed seals can live for up to 43 years in the wild. However, most of them have been recorded to live for about 18-20. 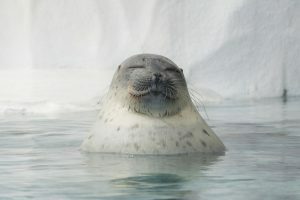 Ringed seals are spread throughout the Arctic Ocean, into the Bering and the Okhotsk seas to as far south as north Japan in the Pacific, throughout the coasts of Greenland and Scandinavia, down south to Newfoundland. They prefer the polar ice-capped regions, with the aquatic biomes including the pelagic coastal regions, and even in lakes and ponds across their range. 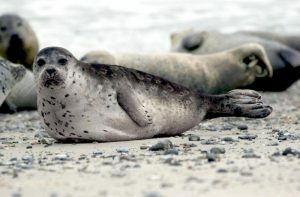 Based on their ranges, the ringed seals have been divided into five subspecies – P. h. hispida (nominate species), P. h. ochotensis, P. h. botnica ladogensis, and, P. h. saimensis. 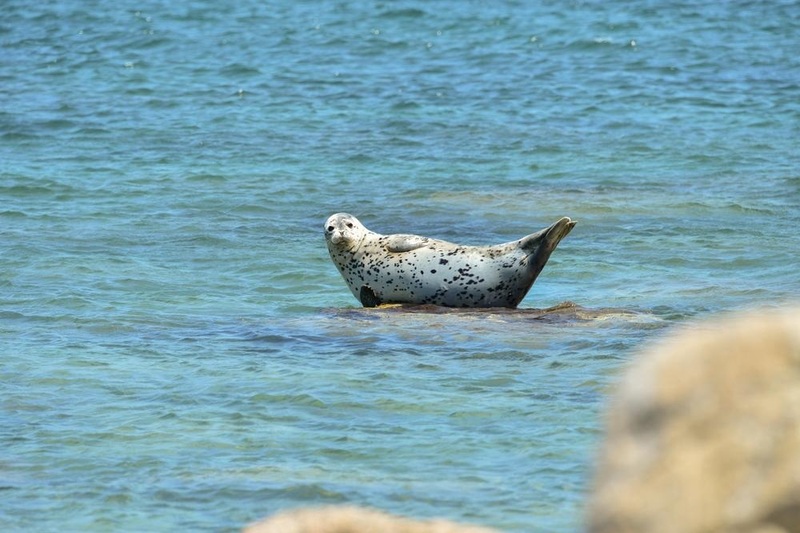 These seals are primarily solitary creatures that come together only when it comes to breeding and molting. 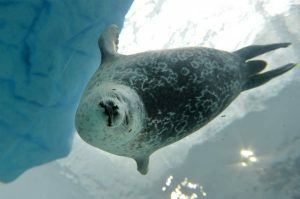 However, they also gather together on sea ice sheets, close to breathing holes and cracks, in order to rest. When the snow accumulates, they become busy building a kind of snow cave called ‘lair’. During this time, they often become highly territorial and possessive about these living spaces, as also, the breathing holes and the underwater areas underneath these caves. 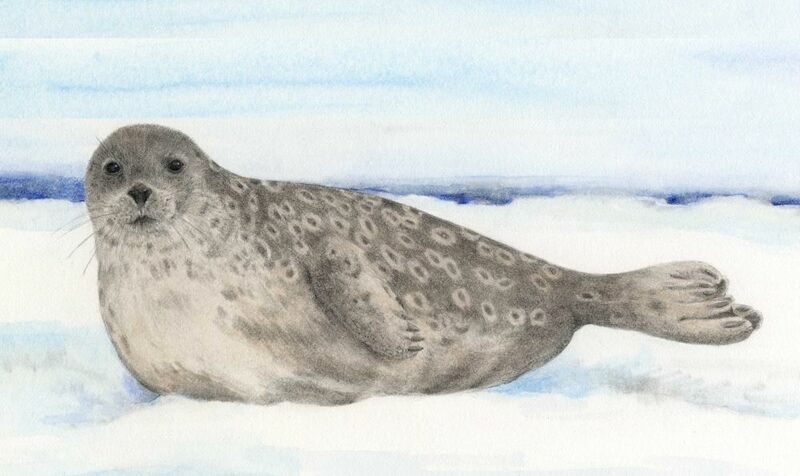 This seal is a carnivore and feasts upon almost 72 species of fish and invertebrates with the most common being mysids, shrimp, arctic cod, and herring. They would also consume herring, sculpin, perch, smelt, whitefish, and a variety of crustaceans. 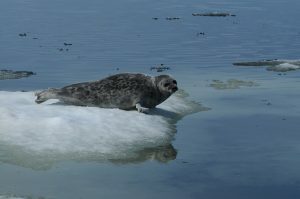 The female ringed seals attain their age of sexual maturity when they are around six years of age. The implantation is usually delayed for up to a few weeks after mating with its male partner. Once it starts, the gestation period lasts for about 9 to 11 months, after which, the mother gives birth to one single pup in most cases. The female raises the young baby within the solitude of a lair. The cave keeps the newborn offspring safe from the harsh weather conditions, as also, from the predators and enemies. 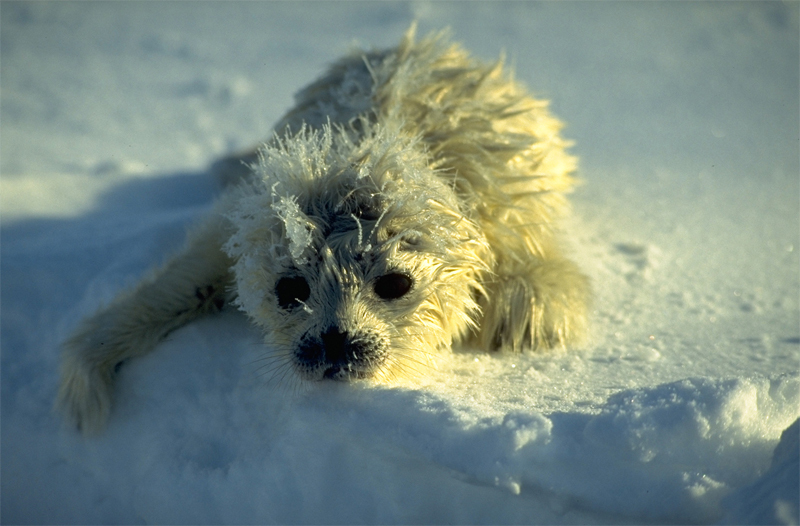 The juvenile ringed seals are weaned when they are around two months old, after which, they are left alone to fend for themselves. Despite learning to dive shortly after their birth, the pups are preyed upon often by various arctic creatures. As a behavioral adaptation, these mammals often blow air bubbles up their breathing hole before surfacing, in order to check whether any polar bears are waiting to prey upon them. The white body coloration with gray spots helps them to camouflage their small bodies, creating a visual paradox in the snow. Their thick clawed nails are used to maintain breathing holes through 6.5 ft (2.0 m) thick ice. 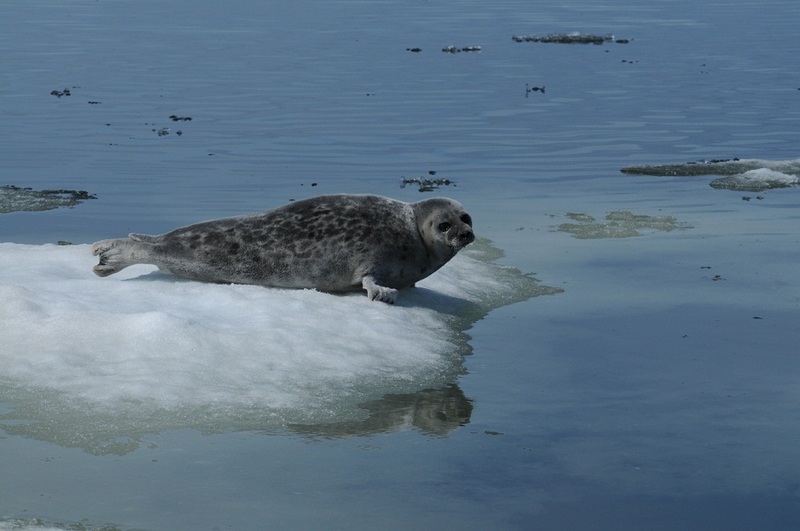 The primary enemy of the Arctic ringed seal is particularly the polar bears. During the pupping season, the baby seals are often hunted by arctic foxes, birds, walruses, glaucous gulls, killer whales, Greenland sharks, and Atlantic walruses, apart from the polar bears. Considering their overall rising population, the IUCN 3.1 has enlisted them as ‘LC’ (Least Concern). These animals have been an important item in the diet list of the indigenous peoples in and around the Arctic since almost c. 4000–3500 BP. In 2012, the Government of Nunavut warned the pregnant women to refrain from consuming the liver of the animal because of its extremely high level of mercury.